Labour candidate and economist Alex Muscat was courted by the PN. He tells Christian Peregin the Government had wrong financial priorities. I am an economist working in the private sector and I’ve been actively involved in the Labour Party for the past few years. I was one of the people who endorsed Joseph Muscat for leadership. From then on I began to involve myself more. I am a co-founder of Fondazzjoni Ideat, a centre of progressive thought. I was also elected to the Mosta local council as minority leader. Why did you decide to contest the election? It’s something inside you. You look at things around you and genuinely feel things can be done a little bit better. I believe I can help do things better. It was a natural choice for me, even though I was offered to contest by both sides. When did the Nationalist Party ask you to join them? 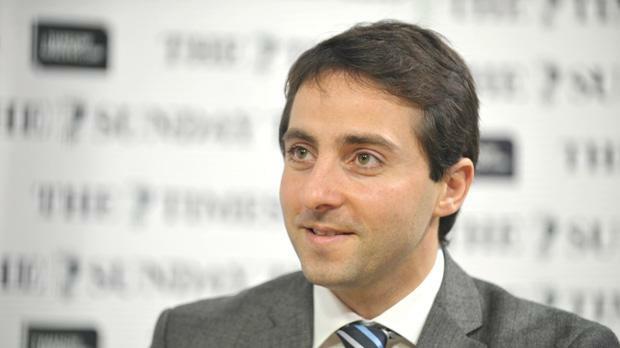 After I was elected, I was approached by a top PN official to contest the general election. Not as you come from a Labour family? No, my family is mixed. It is traditionally social-democrat or Labour, but I also have family members who are more conservative in their ideas. It was natural for me to choose Labour. You said you were one of those who proposed Dr Muscat for leadership. What is it about him that strikes you? I saw a positive transformation when he was in the European Parliament. It’s an experience everyone in that environment goes through. They meet with so many people from different countries and it helps them mature. I also know how much of a patriot he is and how much he cares about Malta. I think that blend is an ideal person to lead the country forward. That’s apart from his youth and energy. My ambitions are to give a new direction to this country. I am working body and soul to be one of the authors of the change our country needs. President Emeritus Eddie Fenech Adami says young people do not really care about the past. Are you one of these young people? Isn’t the past important? The past makes you what you are today. You need to be sure about your roots, as I am. But I also know where we need to go. I know we need to change direction. I aspire for a better Malta. I tend to agree with Dr Fenech Adami that the younger generation is not that interested about what happened in the 1980s, 1970s and 1960s. They are more focused on today and what the future holds. But Dr Muscat has an interest in making people forget what happened in the 1980s. No I don’t think so. I think both parties made their mistakes. Today you have a party that recognise its past mistakes and another party, the PN, which does not. No one is born perfect. Everyone makes mistakes. As an economist, what worries you most about Malta’s economy? The way we manage our finances. We need to be more careful. Unfortunately, we failed our own financial targets repeatedly. Don’t you think we failed targets because we were responding to the realities around us? You respond to realities. I accept that. But you must spend your money in the best way. I think the Government, on various issues, had different priorities from those of the people. Do you agree that we’re not exactly among the worst countries in financial terms? We’re not among the worse. There are countries that are worse but also many that are better. I want to be among the best. Government spending should be an investment. If each financial outlay was an investment, you get back what you spend. This is the premise of our childcare proposal – you get back your money after five years from the taxes of women who will enter the workforce. Do you think the new Parliament was an investment? I don’t think we needed a new Parliament. But did we need to attract more tourists by giving a fresh look to Valletta? Families make sure they have a watertight roof before buying a new chandelier. It is a question of priorities. Both parties are offering free computer tablets to schoolchildren. How are the two proposals different? Labour’s proposal is part of a plan focusing on reducing illiteracy. The tablet is just a tool to help us reduce the problem of illiteracy. PN’s approach is more bombastic, by giving tablets to everyone overnight. This scares me because it reminds me of the overnight switch to Arriva. PN says it will help the private sector invest in e-content. Don’t you think their plan is more holistic? They’re not seeing the tablet as just a tool but a replacement of bags full of heavy books. All experts say this should be done slowly and the strategy should be implemented gradually. That is why we will start from Year 4. We will do everything you are mentioning like reducing the burden of satchels... We also want more Maltese publishers to produce their books in digital format. What do you think about stipends? The only party to reduce stipends was the PN. Labour effectively never reduced stipends. So what happened between 1996 and 1998? Labour wanted to turn stipends into loans. And then the students protested. The students disagreed and Labour, as always, heard what people had to say. As an economist do you think we can afford to maintain stipends? Unfortunately, Malta is lacking in natural resources. Our workers are our main resource. Every euro we spend on education is not a waste of money but an investment in our young people. I believe stipends should stay there and should be strengthened, as is being proposed by Labour. The Dean of Engineering said University needs more money for research. Do you agree with this? Yes. As I said before, the argument is about investing money instead of just spending it. At the moment we spend more money on the Eurovision contest than research at University. This man says the money we spend on stipends is eating at our research budget. One does not exclude the other. The Government in the past five years invested in stone buildings. I’m not saying it is bad, but what counts is the product: how students come out of the system armed with information. He was not kicked out. He was asked to resign. And he accepted to resign. How did you view what happened? It was shocking, also because it happened so close to a general election. But this is the new style of politics people are crying out for. Everyone must shoulder responsibility for what we do and say. Do you think the resignation was about the Xarabank debate? How did people in Mosta react? People were surprised because Dr Farrugia was so active in the highest ranks of Labour. Dr Muscat and Louis Grech (deputy leader) are now contesting Dr Farrugia’s districts. Didn’t this rub salt on the wound? I don’t think so. The party looks at its electoral exigencies. It is true that Dr Farrugia was popular in both districts and you must see how it is focused on new candidates. • This interview was carried out before Anġlu Farrugia’s interview in The Sunday Times.